RIVERVIEW, N.B. -- Raymond Boucher says if you haven't shared a kiss beneath the beams of a covered bridge, you're missing out. A longtime New Brunswick resident, Boucher has fond memories of travelling through two covered bridges with the woman who would eventually become his wife on their way to her grandfather's house when he was just 19. Now at 75, Boucher says both of those bridges -- and many more -- are gone. "In 1953, we had 340 covered bridges in the province, and we now have 58," he said in a phone interview from Riverview, N.B. "Since 2004, we've lost 6." Once commonly known as "kissing bridges" for the romantic interludes that often occurred in the relative privacy they offered, the picturesque wooden structures speckled across the province offer a window into a simpler time, said Boucher. Boucher is the president of the Covered Bridges Conservation Association of New Brunswick, a group calling for the restoration and preservation of the small province's iconic landmarks, which they say are a big draw for tourism. Sunday afternoon, residents rallied at Starkey Bridge near Codys and McGuire Bridge in Elmsdale -- both closed as a result of flood damage -- to ask the government to protect what's left of the covered bridges. Boucher said only three of the 58 covered bridges in the province are protected as heritage structures, including the Hartland Covered Bridge, the longest existing bridge of its kind in the world. The rest are in danger of being torn down and replaced with steel and concrete structures, he said. "We are the only Atlantic province that has covered bridges within our boundaries," said Boucher, noting that Quebec and Ontario are the only other Canadian provinces with covered bridges. The issue is somewhat personal for Jen DeLong, who made the two-hour drive from Woodstock, N.B., on Sunday to attend the rally at Starkey Bridge -- which she said was built by her great-grandfather, Dan Starkey, in 1912. "He had relatives all around there, and to make it easier to get from one farm to the other, the bridge was built," she said. Though it was once a spot where DeLong would go fishing with her father, she said a combination of lack of upkeep from the province and flooding in the spring has caused the bridge to be closed down. She said she's concerned about the structure being replaced by a steel bailey bridge. "The bridge is in our family's heritage, and even the people around there, they've lived with this bridge for all these years," she said. Dan Tingley, senior design engineer at Wood Research and Development Ltd., said in a phone interview that with proper maintenance, timber bridges can last just as long, or even longer, than their steel or concrete counterparts. "A timber bridge, properly built, will outlast a steel bridge by twofold and outlast a concrete bridge by threefold," he said. During his time at University of New Brunswick in the 1980s, Tingley helped develop a way to make timber last longer: creating high-strength laminates out of fibres like Kevlar and carbon, then attaching it to the timber elements to help prevent decay and increase bridge capacity. Tingley trained people to use the low-cost technology in communities around the world, but he said New Brunswick didn't go for it. 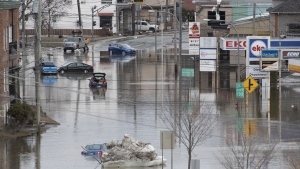 "People from New Brunswick were travelling to Japan, and Australia, and Europe to restore timber bridges, and right here in our backyard ... the government didn't embrace it," he said. 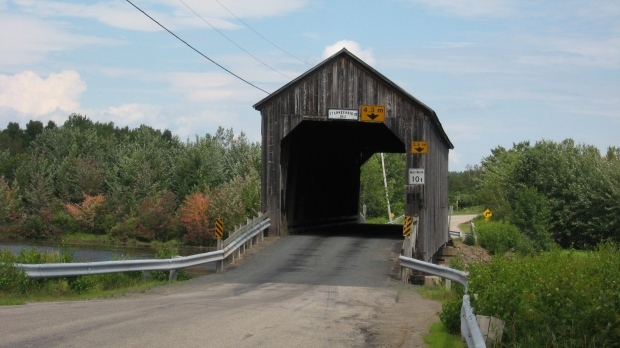 The province's department of transportation and infrastructure was not immediately available for comment, but Minister Bill Fraser told CBC News in April that they aren't trying to get rid of covered bridges -- they're working to develop a policy to help preserve them. Boucher said that needs to happen faster before more of the covered bridges come down. "Because once they're gone, they're gone," he said.